Pebble Ltd | Blog | My Mailbox Is Full! 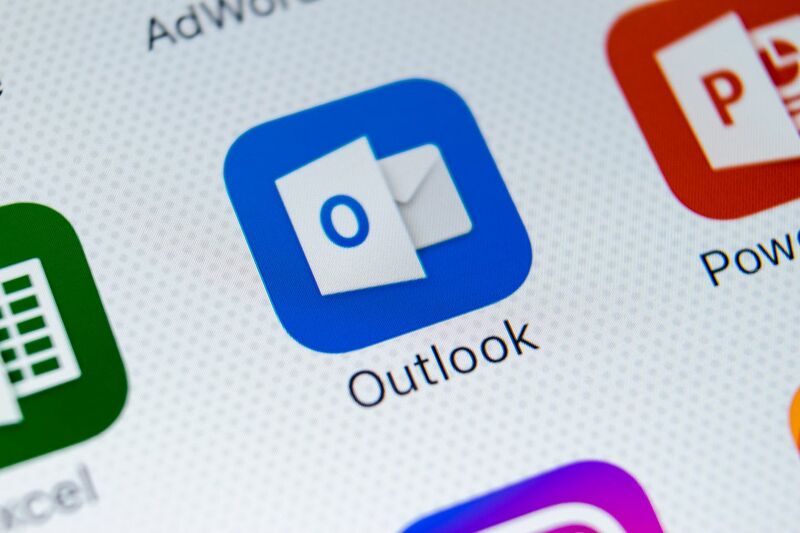 If you use software to retrieve your email (by the software we mean something like Microsoft Outlook) then you may find that your mailbox is getting is getting full pretty quickly. Fortunately, there is something you can do to sort this out pretty quickly. 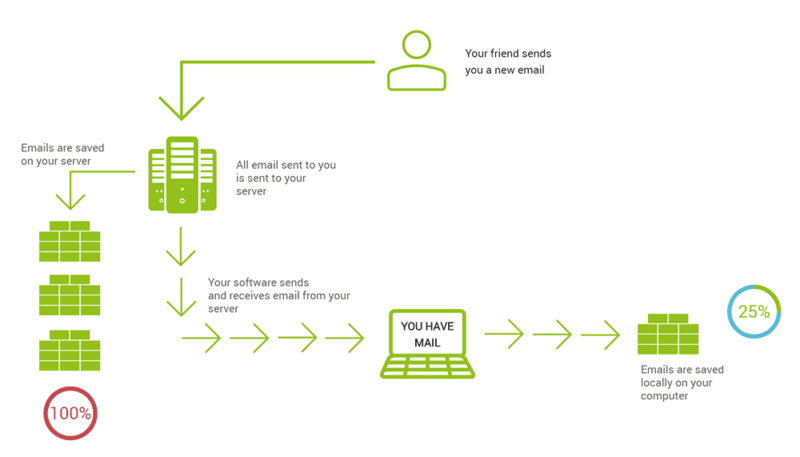 The issue here is that your server is getting fuller every time you send or receive an email. This is pretty simple, these software programs have a feature built into them called "Leave a copy of the message on the server". By default, this will be checked meaning that what is on your computer matches what you have on the server. 2) Click the File tab > Account settings. 3) Highlight your current POP3 account and click Change. 5) Choose More settings and click on Advanced. 6) You should see a check box titled: Leave a copy of messages on the server. 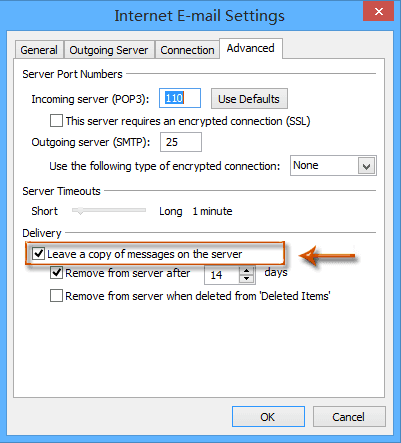 7) Checking the box will enable Leave a copy of the message on the server. Please remember to backup the email on your software! As this is now your master copy. Of course, if you are accessing your mail from multiple computers then you would not follow this method.